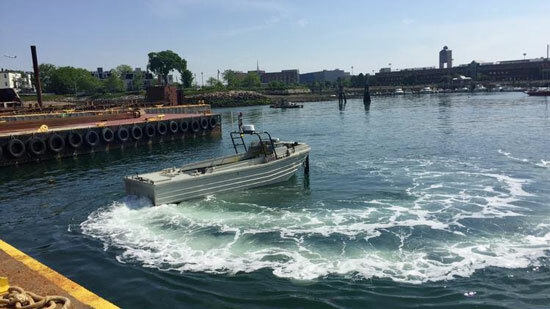 Will self-driving boats on Boston Harbor relieve some of the Uber traffic on our city streets? 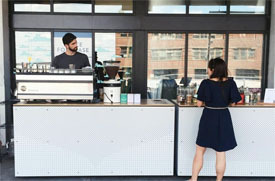 We might soon be looking to a nine-person company in East Boston for those answers. 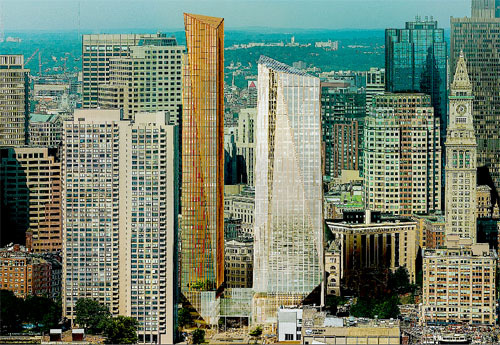 The city of Boston gives the “Green Light” for Chiofaro’s 600 foot Harbor Tower project. 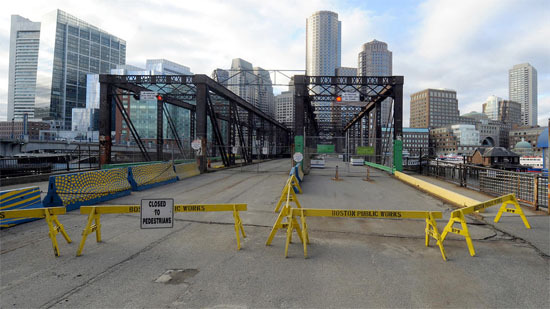 The city-approved plan allows for a 600-foot tower at the site of the Boston Harbor Garage, a 1,380-space, 70-foot parking garage owned by Chiofaro, with 50 percent of the project site required to be open space. 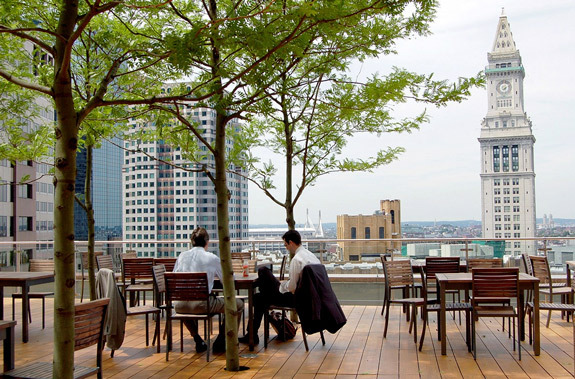 It also allows for a 305-foot, 22-story tower at the site of James Hook & Co. seafood restaurant on Northern Avenue, which would call for 30 percent of the lot as open space. The plan covers 42 acres of downtown waterfront — of which about 22 acres is filled tidelands, while the remainder is the harbor — and 26 separate land parcels. The public process to develop a planning vision for the waterfront began in 2013. 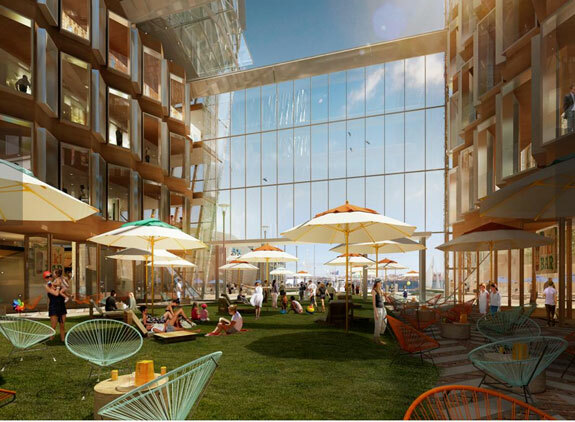 Boston Harbor might soon have a new development approved for its shores. It appears Don Chiofaro has amended his proposed plans for his new Boston Tower to conform to the city’s zoning rules. 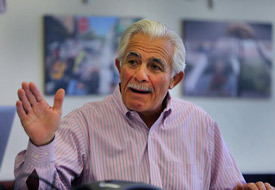 [Chiofaro will] push forward with his bid to put a skyscraper on the site of the Harbor Garage, and to do it within proposed zoning rules that he fought for years to loosen without success. It would still be a billion-dollar-plus project, a bookend to the International Place towers he built in the 1980s, but not quite as grand as he envisioned. It’s likely to be several months, at least, before Chiofaro can file specific plans with the BRA. Then, given a year or more for permitting, construction wouldn’t start until 2018, at the earliest. Live, work, play and yes Swim. Hundreds of millions of dollars have been spent to clean up the waterways that surround Boston and now some want to create floating docks to encourage swimming. “Love that dirty water” is now just a song by the Standdells and no longer reflects the conditions of our waterways. 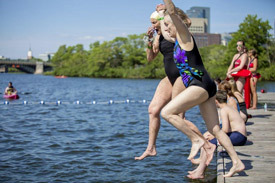 The Charles River Conservancy, which hosts its fourth annual City Splash event Tuesday, has been making an effort in recent years to get more residents swimming in the Charles. Now, the conservancy wants to create a permanent floating dock on the river, near North Point Park. “Due to decades and hundreds of millions of dollars of remediation, Boston and Cambridge are poised to set an example for other American cities by leading the country with a safe and innovative swimming facility that is accessible and beautiful,” Renata von Tscharner, conservancy founder and president, said in a statement. As it stands now the city and state are at a no vote for the Harbor Garage development of 2 skyscrapers. 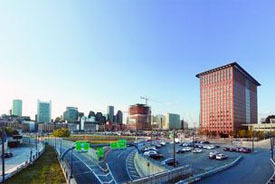 A state official dealt a blow to Chiofaro Cos.’ plans to build two skyscrapers on Boston Harbor, siding with city officials in setting a maximum size of 900,000 square feet and height of 600 feet…Matthew Beaton, the secretary of energy and environmental affairs, backed the Boston Redevelopment Authority’s guidance for the maximum buildout on the 1.3-acre parcel currently occupied by an eight-story parking garage. 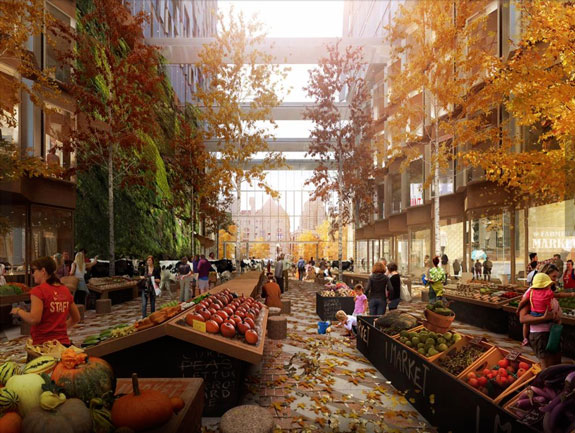 Developer Donald Chiofaro has stated that his original proposal for two towers totaling 1.3 million square feet is the minimum for a financially viable project.